The Art and Religion of Fossil Man. H. Milford, Oxford University Press, 1930. about fine. 213 illustrated pages. . The Famous Automatic Pistols of Europe (AND) Famous Automatic Pistols and Revolvers VOLUME 2 - Set of Both Books. Publisher: Jolex, 1976 2 vols. Near fine copies in the original thin card pictorial wrappers as issued, light wear to extremities, verical reading crease spine Vol.2, text clean and tight. ; First Edition (GUNS ARMS AND WEAPONS). Bagged for Posterity. 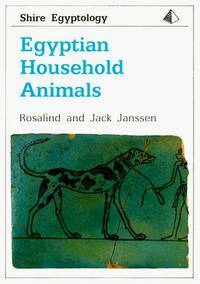 Softcover Publisher: Amr Hussein, 1989 Used. About Fine. University of Oklahome Press, 1967 About fine in a lightly edgeworn dust wrapper. . First Edition Stated. Hardcover. Fine/Near Fine. 8vo - over 7¾" - 9¾". Archival Wrapped DJ. Maya History and Religion. First Edition, Fine. Norman, Oklahoma, U.S.A.: University of Oklahoma Press, 1970 About fine in a lightly edgeworn dust wrapper. . First Edition Stated. Hardcover. Fine/Near Fine. 8vo - over 7¾" - 9¾". Archival Wrapped DJ.